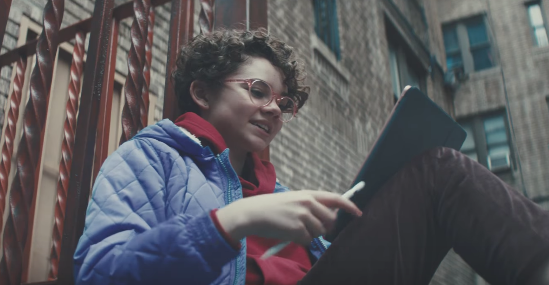 Apple has uploaded a new ad to its YouTube channel, highlighting its iPad Pro. Titled “What’s a computer?”, it follows the day of a young girl using her iPad Pro as her main connected device, using it to chat with friends, read comics, create art, take photos and more. When her neighbour asks her “whatcha doin on your computer?”, she responds “what’s a computer?”, suggesting new younger generations may grow up without ever using a computer, but only tablets such as iPads. Apple explains, “With iPad Pro + iOS 11, a post-PC world may be closer than you think.” Last year, Apple aired a similar ad titled “What’s a computer?”, highlighting iPad Pro along with Apple Pencil and more.